The same can be said for teaching children to garden. People who know how to garden seldom go hungry. If you have a garden at home and your children help with it, they are well ahead of the curve. But many children in urban areas don’t have that opportunity. They live in apartments with no space for a garden or, in some cases, their parents aren’t gardeners themselves and have no idea how or what to teach them. To build a successful school garden program, you need to follow some very basic steps. If you really want to build support for your school garden, get the children and parents involved from the very beginning. Their enthusiasm will help you sell the project to the powers that be. Research has shown that school garden programs with heavy student involvement from the start are more successful. As with any project, you need to know what you want to accomplish from the beginning. What are your goals for your garden? Are you going to use the produce at the school? Are you going to donate it? Will you sell it to raise funds for the school? Aside from educating students, what will you do with your final product? School gardens need to be included in the learning plan so the students are allowed time to work in the garden. If you want your garden to be a success, plan its purpose from the beginning. If you don’t know where you’re going with it, you will never get there. A school garden program does require funding and most schools do not include these programs in their annual budgets. You can fundraise, request donations, get volunteers, start the garden as a youth business education tool, and even apply for grants. Get your local community involved. Many local businesses and individuals will see this kind of project as a positive influence on local youth and will want to be involved. There are definitely special challenges involved in a school garden program. Many areas are not in school during the height of the growing season. To address this issue, focus on crops that can be grown and harvested while school is in session. This is much easier for warm climates than cold climates but it can be done anywhere. If you can possibly obtain funding for cold frames, you will extend your growing season significantly into the fall and winter months. You can also start plants indoors and then plant them outside in the garden at the end of the school year. 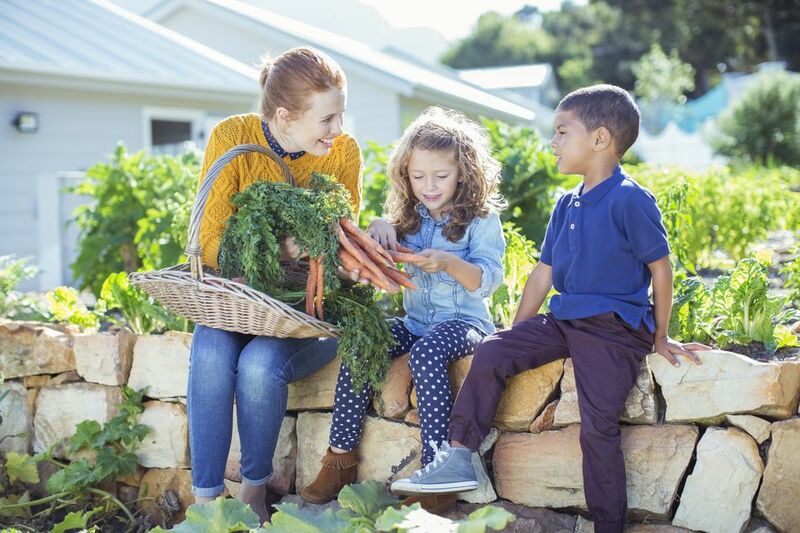 Over the summer, volunteers and students can maintain the harvest and the food can be donated to local food pantries or sold at farmers markets to raise funds for school projects – like maintaining your school garden! And working the garden over the summer is a good way for students to obtain extra credit.